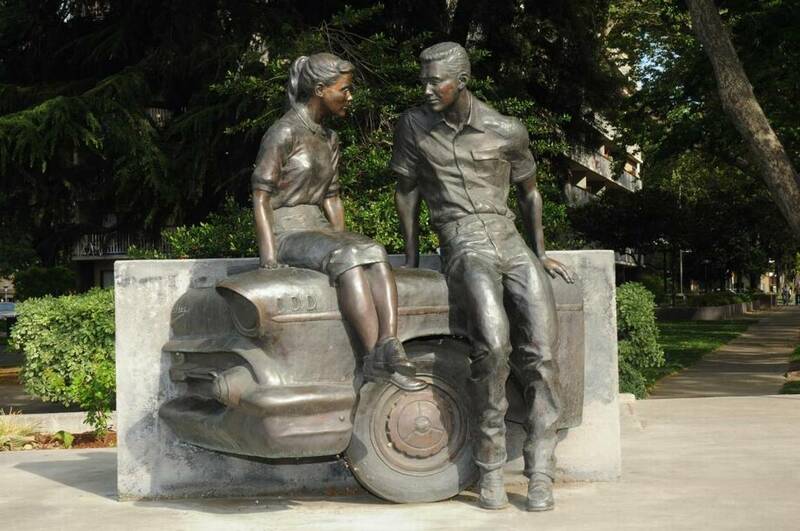 This statue sitting in the center of Modesto, CA is inspired by the famous George Lucas movie ‘American Graffiti’. The movie ‘American Graffiti was released in 1973 and is George Lucas’s representation of growing up in Modesto in the 1960’s. The statue was placed at five points in Modesto in the year 1997. Every summer we have a Graffiti weekend celebrating Lucas, classic cars and cruising.